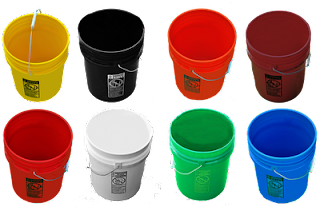 After 5 gallon buckets get acknowledged of their versatility, the next question that pops out is how to choose a good 5 gallon bucket for you. People may think that this is not quite necessary to know – after all, all 5 gallon buckets are the same, right? But they are not quite the same. Most 5 gallon buckets are designed quite uniformly to attend to general needs, but some are built tougher. It all depends on what you are going to use the 5 gallon buckets for. 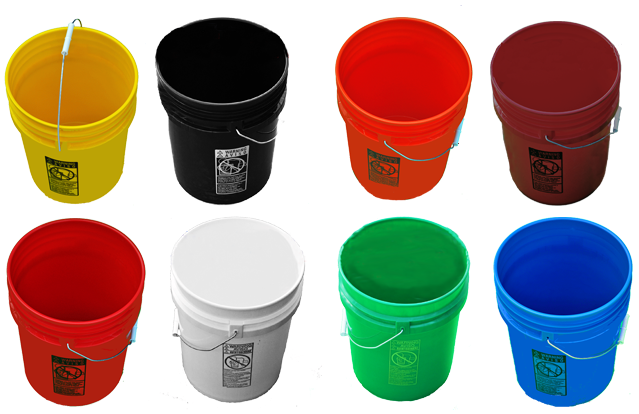 Check out the tips below for choosing the right good 5 gallon buckets for you. 70 mil or 90 mil buckets? The standard 5 gallon buckets sold at home depot and builders supply stores are of 70 mil. These buckets are cheap and not strong enough to hold heavy stuff. If you want to use a bucket to store your children toys or as a trash can, please go ahead. But for heavier goods, we suggest you to take the 90 mil 5 gallon bucket. This type of bucket is able to hold up to 65 pounds of dry goods and the handle is also strong enough to transport the bucket safely from one place to another. Think, if you use cheap, easy-to-break pails to store your goods, what good does it bring when it falls apart faster than you expect and you can do nothing else but throw it away? Most 70 mil buckets you can buy at the builders stores are not made of FDA-approved plastic resin material, thus can’t be used to store any food products. So if you mean to use these buckets for garage purposes, for example, you can proceed. However, if you want to utilize the 5 gallon buckets for long term food storage, do make sure that your 5 gallon buckets are food safe and strong enough to hold heavy food products. 90 mil 5 gallon buckets will last very, very long before you need to throw them away. But when you do, please do that properly. Your 5 gallon buckets should ideally be made of recyclable plastic materials. This means when you can no longer use them, you can send them to the recycling company and have them made into something else useful; like plastic chairs, recycling bins, etc. This way nothing goes wasted at the landfill waiting forever before they can ever get degraded. Support and save the earth, and the world will be a much better place for our children. Now that you know more about 5 gallon buckets, which 5 gallon pails are you going to buy?